How do you quit a £10bn IT contract in which suppliers have become limbs of your organisation? Thanks to reports by the National Audit Office, the questioning of HMRC civil servants by the Public Accounts Committee, answers to FOI requests, and job adverts for senior HMRC posts, it’s possible to gain a rare insight into some of the sensitive commercial matters that are usually hidden when the end of a huge IT contract draws closer. Partly because of the footnotes, the latest National Audit Office memorandum on Aspire (June 2016) has insights that make it one of the most incisive reports it has produced on the department’s IT in more than 30 years. Aspire is the government’s biggest IT-related contract. Inland Revenue, as it was then, signed a 10-year outsourcing deal with HP (then EDS) in 1994, and transferred about 2,000 civil servants to the company. The deal was expected to cost £2bn over 10 years. After Customs and Excise, with its Fujitsu VME-based IT estate, was merged with Inland Revenue’s in 2005, the cost of the total outsourcing deal with HP rose to about £3bn. In 2004 most of the IT staff and HMRC’s assets transferred to Capgemini under a contract known as Aspire – Acquiring Strategic Partners for Inland Revenue. Aspire’s main subcontractors were Accenture and Fujitsu. In subsequent years the cost of the 10-year Aspire contract shot up from about £3bn to about £8bn, yielding combined profits to Capgemini and Fujitsu of £1.2bn – more than double the £500m originally modelled. The profit margin was 15.8% compared to 12.3% originally modelled. The National Audit Office said in a report on Aspire in 2014 that HMRC had not handled costs well. The NAO now estimates the cost of the extended (13-year) Aspire contract from 2004 to 2017 to be about £10bn. Between April 2006 and March 2014, Aspire accounted for about 84% of HMRC’s total spending on technology. Servers that typically cost £30,000 a year to run under Aspire – and there are about 4,000 servers at HMRC today – cost between £6,000 when run internally or as low as £4,000 a year in the commodity market. How could the Aspire spend continue – and without a modernisation of the IT estate? HMRC has been generally pleased with the quality of service from Aspire’s suppliers. Major systems have run with reducing amounts of downtime, and Capgemini has helped to build many new systems. Where things have gone wrong, HMRC appears to have been as much to blame as the suppliers, partly because development work was hit routinely by a plethora of changes to the agreed specifications. Arguably the two biggest problems with Aspire have been cost and lack of control. In the 10 years between 2004 and 2014 HMRC paid an average of £813m a year to Aspire’s suppliers. And it paid above market rates, according to the National Audit Office. By the time the Cabinet Office’s Efficiency and Reform Group announced in 2014 that it was seeking to outlaw “bloated and wasteful” contracts, especially ones over £100m, HMRC had already taken steps to end Aspire. It decided to break up its IT systems into chunks it could manage, control and, to some extent, commoditise. 1. Your IT may not be transformed by outsourcing. That may be the intention at the outset. But it didn’t happen when Somerset County Council outsourced IT to IBM in 2007 and it hasn’t happened in the 12 years of the Aspire contract. “The Aspire contract has provided stable but expensive IT systems. The contract has contributed to HMRC’s technology becoming out of date,” said the National Audit Office in its June 2016 memorandum. 2. You won’t realise how little you understand your outsourced IT until you look at ending a long-term deal. 3. Suppliers may seem almost philanthropic in the run-up to a large outsourcing deal because they accept losses in the early part of a contract and make up for them in later years. “What we are finding is that it [the break-up of Aspire] is forcing us to have much cleaner commercial conversations, not getting into some of the traditional arrangements. ” If I go away from Aspire and talk about the typical outsourcing industry of the last ten years most contracts lost money in their first few years for the supplier, and the supplier relied on making money in the later years of the contract. “What that tended to mean was that as time moved on and you wanted to change the contract the supplier was not particularly incented to want to change it because they wanted to make their money at the end. 4. If you want deeper-than-expected costs in the later years of the contract, expect suppliers to make up the money in contract extensions. Aspire was due originally to end in 2004. Then it went to 2017 after suppliers negotiated a three-year extension in 2007. Now completion of the exit is not planned until 2020, though some services have already been insourced and more will be over the next four years. The National Audit Office’s June 2016 memorandum reveals how the contract extension from 2017 to 2020 came about. HMRC had a non-binding agreement with Capgemini to exit from all Aspire services by June 2017. But HMRC had little choice but to soften this approach when Capgemini’s negotiating position was unexpectedly strengthened by IT deals being struck by other departments, particularly the Department for Work and Pensions. 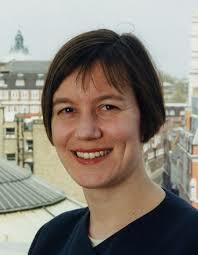 Cabinet Office “red lines” said that government would not extend existing contracts without a compelling case. But the DWP found that instead of being able to exit a large hosting contract with HP in February 2015 it would have to consider a variation to the contract to enable a controlled disaggregation of services from February 2015 to February 2018. 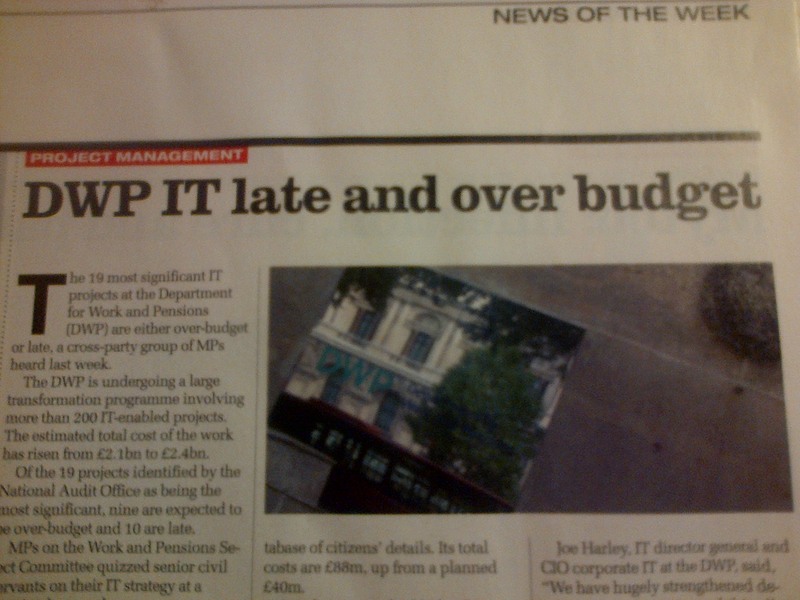 When the DWP announced it was planning to extend its IT contract with its prime supplier HP Enterprise, HMRC was already in the process of agreeing with Capgemini the contract changes necessary to formalise their agreement to exit the Aspire deal in 2017. “Capgemini therefore pushed for contract extensions for some Aspire services as a condition of agreeing to other services being transferred to HMRC before the end of the Aspire contract,” said the NAO’s June 2016 memo. 5. It’s naïve to expect a large IT contract to transfer risks to the supplier (s). 6. Few organisations seeking to end monolithic outsourcing deals will have the transition overseen by someone as clear-sighted as Mark Dearnley. “We hope that those negotiations move apace, because I suspect – and it is perhaps unfair to ask Mr Dearnley to comment – that to lose someone senior at this point would not be good news, given the challenges outlined in the [NAO] Report,” asked Hillier. 7. Be prepared to set aside millions of pounds – in addition to the normal costs of the outsourcing – on exiting. HMRC is setting aside a gigantic sum – £700m. Around a quarter of this, said the National Audit Office, is accounted for by optimism bias. The estimates also include costs that HMRC will only incur if certain risks materialise. In particular, HMRC has allowed around £100m for the costs of transferring data from servers currently managed by Aspire suppliers to providers that will make use of cloud computing technology. This cost will only be incurred if a second HMRC programme – which focuses on how HMRC exploits cloud technology – is unsuccessful. Other costs of the so-called Columbus programme to replace Aspire include the cost of buying back assets, plus staff, consultancy and legal costs. 8. Projected savings from quitting a large contract could dwarf the exit costs. HMRC has estimated the possible minimum and possible maximum savings from replacing Aspire. Even the minimum estimated savings would more than justify the organisational time involved and the challenge of building up new corporate cultures and skills in-house while keeping new and existing services running smoothly. By replacing Aspire and improving the way IT services are organised and delivered, HMRC expects to save – each year – about £200m net, after taking into account the possible exit costs of £700m. The National Audit Office said most of the savings are calculated on the basis of removing supplier profit margins and overheads on services being brought in-house, and reducing margins on other services from contract changes. Even if the savings don’t materialise as expected and costs equal savings the benefits of exiting are clear. The alternative is allowing costs to continue to soar while you allow the future of your IT to be determined by what your major suppliers can or will do within reasonable cost limits. HMRC is leading the way for other government departments, councils, the police and other public bodies. Dearnley’s approach of breaking IT into smaller manageable chunks that can be managed, controlled, optimised and to some extent commoditised is impressive. On the cloud alone he is setting up an internal team of 50. In the past, IT empires were built and retained by senior officials arguing that their systems were unique – too bespoke and complex to be broken up and treated as a commodity to be put into the cloud. Dearnley’s evidence to the Public Accounts Committee exposes pompous justifications for the status quo as Sir Humphrey-speak. Both Richard Feynman and Einstein said something to the effect that the more you understand a subject, the simpler you can explain it. What Dearnley doesn’t yet understand about the HMRC systems that are still run by Capgemini he will doubtless find out about – provided his contract is renewed before September this year. No doubt HMRC will continue to have its Parliamentary and other critics who will say that the risks of breaking up HMRC’s proven IT systems are a step too far. But the risks to the public purse of keeping the IT largely as it is are, arguably, much greater. 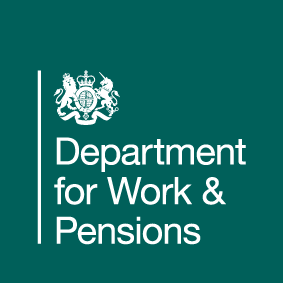 The Department for Work and Pensions has proved that it’s possible to innovate with the so-called digital solution for Universal Credit, without risking payments to vulnerable people. If the agile approach to Universal Credit fails, existing benefit systems will continue, or a much more expensive waterfall development by the DWP’s major suppliers will probably be used instead. It is possible to innovate cheaply without endangering existing tax collection and benefit systems. Imagine the billions that could be saved if every central government department had a Dearnley on the board. HMRC has had decades of largely negative National Audit Office reports on its IT. Is that about to change? “Good analysis of Aspire and outsourcing challenges. I have seen too many business cases in my career, be they a case for outsourcing, provider transition or insourcing. “The common factor in all the proposals has been the absence of strategy end of life costs. In other words, the eventual transition costs that will be incurred when the sourcing strategy itself goes end of life. Such costs are never reflected in the original business case, even though their inevitability will have an important impact on the overall integrity of the sourcing strategy business case. Is DWP’s Universal Credit FOI case a scandalous waste of public money? It’s extraordinary that some of the Department for Work and Pensions’ main arguments against publishing three reports on the Universal Credit programme resemble, in part, those given by the Walpole government of 1738 when the House of Commons passed a resolution against the publishing of Parliamentary debates. The DWP argues that the media could misinterpret the three Universal Credit reports or take negative comments in them out of context, which would have a “chilling effect” on the officials who contribute to or write the reports. In the 17th and 18th centuries, members of the House of Commons and House of Lords were concerned that parliament could be brought into disrepute by the irresponsible reporting of its proceedings, and that MPs could be influenced in what they said in debates by the knowledge that their speeches could be reported . Sir Robert Walpole, the then prime minister, in winding up an 1738 debate on banning newspaper reporting of Parliament, said press coverage of parliamentary proceedings was a “forgery of the worst kind”. Neither officials nor ministers had at that time invented the phrase “chilling effect” but they held to its meaning: they expressed concern that if debates were in the public domain members would shape what they said in debates to win influence, or avoid criticism by, newspapers. Eventually Parliament decided in the 19th century that it was in its own interests to have debates in the public domain partly because important speeches were going unreported. Today the DWP is a long way from reaching the stage of openness of Parliament in the 18th century. The judge’s apparent sympathy for the DWP’s case surprised me, given that Parliament decided centuries ago that the risk of MPs being influenced by the media when making speeches was a minor consideration when weighed against the importance of reporting the proceedings of parliament. Democracy is far from perfect but it is surely not served by departments such as the DWP keeping secret for as long as they can reports on their performance on high-cost, risky and innovative programmes such as Universal Credit. The National Audit Office will usually report on programmes as big as Universal Credit, and will usually do so with skill, insight and professionalism. But it didn’t report on the UC programme until September 2013. Disclosure of the risk and issues registers and project assessment review when they were requested under FOI would have given MPs, the public and stakeholders the chance to hold ministers and officials to account in 2012 – at a time when Iain Duncan Smith and senior officials at the DWP were confidently claiming that the UC programme was on time and to budget. IDS said nothing in 2012 about the problems the programme was facing. It’s fascinating to look back at debates of the House of Commons in the 17th and 18th centuries to see how closely some of the speeches resemble the arguments the DWP is making in its submissions to next week’s FOI tribunal. In April 1738 the Commons passed a resolution declaring that it was a “high indignity and a notorious breach of privilege” to report what was said in the Chamber, even when it was in recess. Part of the DWP’s case to the FOI tribunal next week in Leicester is that, if the reports in question are published, they could be misinterpreted by the public, which would involve ministers and civil servants being diverted from the Universal Credit programme to correct the media. It may be worth noting some of the actions taken by the House of Commons in 1771 against newspaper proprietors who published proceedings of the Commons – and allegedly got it wrong. The Gazetteer and New Daily Advertiser on Friday 8 February 8 1771, which was printed for R. Thomson, and also the Middlesex Journal on Tuesday 5 February 5 to Thursday 7 February 1771, which was printed for J Weeble, were accused of “misrepresenting the speeches, and reflecting on several of the members of this House, in contempt of the order, and in breach of the privilege of this House”. The House issued a proclamation for the apprehension of John Weeble and R Thompson. Today the DWP seems not to accept that being held to account by journalists, even incompetent and hostile ones, is a price to be paid for democracy. Parliament banned newspaper reports of its debates in the 17th and 18th centuries in part because publication would have meant contemporaneous accountability. That, it seems to me, is the main reason the DWP opposes disclosure of any independent and authoritative reports on its performance on the UC programme. Senior officials are understandably concerned about personal and contemporaneous accountability on a big, risky, high-cost IT-enabled programme. Not the IT professionals who, incidentally, are largely in favour of openness. Middle-ranking managers on the UC programme have a tough time of it. They rarely get any credit for what they achieve. But there is a notable divide between the cultures of middle and senior management. Now that the House of Commons allows reporting of its proceedings, and even allows TV cameras, the DWP’s ministers and senior officials look as if they are stuck in a bygone era. They believe that the public can wait for accountability until the National Audit Office decides to publish its reports. But how well can the public hold the DWP to account if people doesn’t know how hundreds of millions of pounds are being spent – at the time it is spent – on the Universal Credit IT programme? The high turnover of senior management on big programmes all but ensures that the most senior officials will probably have moved on by the time the National Audit Office reports on their programmes. No bureaucracy will embrace openness until it is forced to. Nobody should be surprised that the DWP is fighting the publication of the disputed UC reports. What’s needed, therefore, is a campaigning minister, to bring today’s top officials at the DWP kicking and screaming into the modern world. There is a serious consequence to the DWP’s antiquated approach to openness: the mounting legal costs of the FOI case it keeps appealing. Officials and ministers at the DWP are launching FOI appeals as if money were no object. 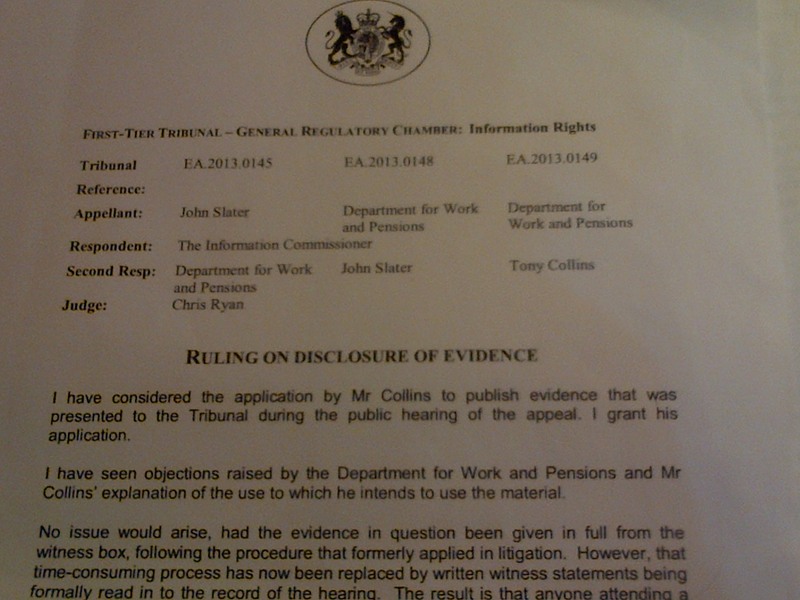 Bundles of documents have been produced by barristers and other lawyers who have been working on behalf of the DWP. I don’t believe senior officials care particularly what is in the reports. They are really fighting, perhaps subconsciously, to continue their control of official information on the UC programme. For that privilege they will continue to dig deeply into the public purse for the legal costs of this case. That’s a scandalous waste of money, especially in a supposed era of open government. Has the Department for Work and Pensions put itself, to some extent, beyond the scrutiny of Parliament on the Universal Credit IT programme? Today’s report of the Public Accounts Committee Universal Credit progress update was drafted by the National Audit Office. All of the committee’s reports are effectively more strongly-worded NAO reports. 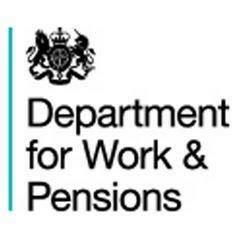 If the Department for Work and Pensions cannot be open with its own auditors – the National Audit Office audits the department’s annual accounts – are the DWP’s most senior officials in the happy position of being accountable to nobody on the Universal Credit IT programme? The National Audit Office and the committee found the Department for Work and Pensions “selective or even inaccurate” when giving some information to the committee. In answering some questions, the committee found officials “evasive”. On the basis of the limited information supplied by the DWP to Parliament the committee’s MPs believe that the Universal Credit has stabilised and made progress since the committee first reported on the programme in 2013, but there “remains a long way to go”. So far the roll-out has largely involved the simplest of cases, and the ineligibility list for potential UC claimants is long. By 10 December 2015, fewer than 200,000 people were on the DWP’s UC “caseload” list. The actual number could be far fewer because the exact number recorded by the DWP by 10 December 2015 (175, 505) does not include people whose claims have terminated because they have become ineligible by for example having capital more than £16,000 or earning more so that their benefits are reduced to zero. The plan is to have more than seven million on the benefit, and the timetable for completion of the roll-out has stretched from 2017 originally to 2021, although some independent experts believe the roll-out will not complete before 2023. “In February 2015 the previous Committee of Public Accounts published Universal Credit: progress update … The Department accepted the Committee’s recommendations. “However, we felt that the Department’s responses were rather weak and lacked specifics, and we were not convinced that it is committed to ensuring there is real clarity on this important programme’s progress. “As a result, we recalled both the Department and HM Treasury to discuss a number of issues that concerned us, particularly around the business case, the continuing risks of delay, and the lack of transparency and clear milestones. “Recommendation: The Department should set out clearly how it is tracking the costs of continuing delays, and who is responsible for ensuring benefits are maximised. “The Department does not publish accessible information about plans and milestones and we are concerned by the lack of detail in the public domain about its expected progress. 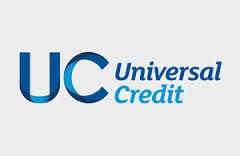 “… the Department did not acknowledge that the slower roll-out affects two other milestones, because it delays the date when existing claimants start to be moved onto Universal Credit and reduces the number of Universal Credit claimants at the end of 2019. “The flexible adaptation of milestones to circumstances is sensible, but the Department should be open about when this occurs and what the effects are. Instead, the Department’s continued lack of transparency makes it very difficult for us and the public to understand precisely how its plans are shifting. The DWP has two IT projects to deliver UC, one based on its existing major suppliers delivering systems that integrate the simplest of new claims with legacy IT. The other and more promising solution is a far cheaper “digital service” that is based on agile principles and is, in effect, entirely new IT that could eventually replace legacy systems. It is on trial in a small number of jobcentres. The DWP’s slowly slowly approach to roll-out means it is reluctant to publish milestones, and it has reached only an early stage of the business case. The final business case is not expected before 2017 and could be later. Net benefits realised versus forecasts. Meanwhile the DWP’s response to those who criticise the slow roll-out is to give impressive statistics on the number of jobcentres now processing UC claims, without acknowledging that nearly all of them are processing only the simplest of claims. To whom is the DWP accountable on the Universal Credit IT programme? To judge from today’s report it is not the all-party Public Accounts Committee or its own auditors the National Audit Office. 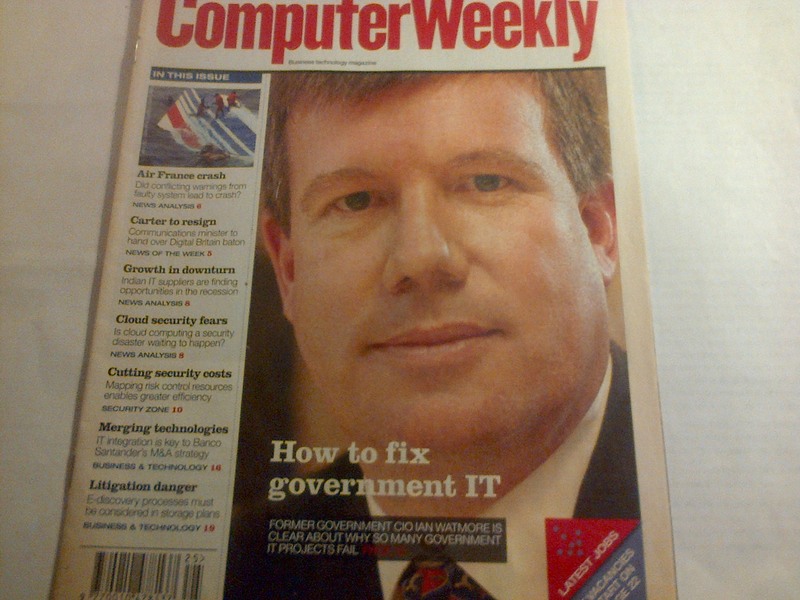 No government has been willing to force Whitehall departments to be properly accountable for their major IT-enabled projects or programmes. Sir Humphrey remains in control. The last government with Francis Maude at the helm at the Cabinet Office came close to introducing real reforms (his campaign began too forcefully but settled into a good strategy of pragmatic compromise) but his departure has meant that open government and greater accountability for central departments have drifted into the shadows. The DWP is not only beyond the ability of Parliament to hold it accountable it is spending undisclosed of public money sums on an FOI case to stop three ageing reports on the Universal Credit IT programme being published. The reports are nearly four years old. Would that senior officials at the DWP could begin to understand a connection between openness and Lincoln’s famous phrase “government of the people, by the people, for the people”. After fracturing my angle (slipping on a slope while mowing the lawn) I’ve been surprised how well parts of the NHS work – but not when it comes to the electronic transfer of records and PACS x-ray images from one trust area to another. In the end the minor injuries unit (which within its own sections shared data electronically) had to download my x-rays onto CD for me to take the other trust’s orthopaedic department. The CD went into a carrier bag. After a long search around a large general hospital the tired doctor eventually found a PC with a CD player. Fortunately the minor injuries unit had downloaded onto the disc a self-executing program to load the x-rays. Success. He gave his view of the fracture. Even then he didn’t have my notes from the minor injuries unit. My care was superb. What was surprising was seeing how things work – or don’t – after the NHS has spent more than £20bn on IT over the past 20 years. The media is bombarded with press releases about IT innovations in the NHS. From these it’s easy to believe the NHS has the most up-to-date IT in the world. Some trusts do have impressive IT – within that trust. It’s when records and x-rays need to be transferred outside the trust’s area that the NHS comes unstuck. Since 2004 billions has been spent on systems to create shareable electronic patient records. But it’s not happening. Within those billions spent on IT in the NHS, couldn’t a little bit of money be set aside for transferring x-rays and patient notes by secure email? That’s the real innovation the NHS needs, at least for the sake of patients. In the meantime the safest way for x-rays and notes to be transferred from one trust to another is within the patient’s carrier bag. Margaret Hodge spoke incisively this week about her five years as chairman of the 160 year-old Public Accounts Committee. It’s assumed that civil servants answer to ministers who are then accountable to Parliament when things go wrong. Hodge mentioned failed IT projects several times. But she painted a picture of senior officialdom as a force independent and sometimes opposed to Parliament. She said some senior officials had a “fundamental lack of respect for Parliament”. She had come up against an opposition that was “akin to a freemasonry”. “With accountability comes responsibility. I can’t think how often we ask whether those responsible for dreadfully poor implementation are held to account for their failures. “… I have been truly shocked by the extent of the waste we have encountered. This is not a party political point. It’s not that this Conservative- Lib-Dem Coalition is worse or better than the previous Labour Government. “It’s not that the private sector is more efficient than the public sector. “It’s not about questioning the dedication of hundreds of thousands of public sector workers wanting to do their best… for me personally, sitting on the left of the political spectrum, I passionately believe in the power of public spending and public services to transform and equalise life chances. “Yet if I am to ask other people to give up their money so that we can use it to secure greater equality, then I must earn their trust that I will use that money well. “I remember being rung up by a researcher on the Today programme who wanted me to go on to speak about education for 16-18 year olds. She asked what I would be minded to say and I told her that it was a good report and I would be complimentary. ‘I thought you would be critical’ she responded. No it’s a positive report I replied. Well, she said, I’d better go away and read it, She rang me half an hour later to tell me they had dropped the item from the programme. “… If we do want to ensure public attention is drawn to something, it may involve the occasional bit of grandstanding. I don’t apologise for that, for I have very few tools available which I can use to get purchase and have an impact. PAC versus a civil service freemasonry? “I received a letter from the departing Cabinet Secretary which was widely circulated around Whitehall and to officials of the House accusing the Committee of treating officials unfairly and reminding me that civil servants are bound by duties of honesty and integrity and therefore should only be asked to give evidence on oath as ‘an extremely unusual step’. “Basically, the explicit threat relayed to me was that if we did not change how we held civil servants to account, we would be closed down. Shut up or we’ll shut you down. “The story sounds like something from Yes Minister, but more seriously demonstrates a fundamental lack of respect for Parliament that I find deeply worrying. ‘How dare you MPs touch us’ was what they were saying. It felt like we were up against something akin to a freemasonry. “Now that was January 2012 and things have moved on… but have they? “The sad truth is that in that struggle between civil servants and politicians, the civil servants are most likely to win, because whereas we are here today and gone tomorrow, they are there for the long term. “There remains a deep reluctance among too many senior civil servants to be accountable to Parliament and through us, to the public. The senior civil servants hide behind the traditional convention that civil servants are accountable to ministers who in turn are accountable to Parliament. “That principle worked when it was first invented by Haldane after the First World War and the Home Secretary worked with just 28 civil servants in the Home Office. Today there are over 26,000. “It worked when the public did not demand transparency. Today they do. “It worked when public spending was primarily funneled through large departments running large contracts. In today’s world with a plethora of autonomous health trusts and academy schools, in a world where private providers are providing public services in a range of fragmented contracts, delivering everything from welfare to work, healthcare and now probation services, in today’s world the old accountability framework with the minister being responsible for everything is plainly a nonsense. “And whilst we, of course, want to maintain an impartial civil service, that is not inconsistent with the need to modernize accountability to Parliament and the public. “There is a fundamental problem at the heart of the traditional accountability system. How can civil servants be accountable to ministers if the ministers do not have the power to hire and fire them? “The promise to reform the Civil Service has produced a few welcome changes, like a Major Projects Academy to train people to manage big projects, but the change has been too little, too piecemeal and too marginal, not fundamental. “We just need to build different skills and do it, not talk about it. “We may need to pay more so that working in and staying in the public sector becomes a more attractive proposition for more talented people. Trumpeting success in keeping public sector salaries down is not sensible if you end up wasting money or hiring in expensive consultants to clear up the mess or do the work for you. “We need to transform the way people get promoted. At the moment, you’re a success if you leave your post after two years in the job and move on. “When I was Children’s Minister, after two years I had a better institutional memory than any of the civil servants with whom I was working. “And when the PAC reviewed the Fire Control Programme, which aimed at reducing costs by rationalising how 999 calls were dealt with, but ended up costing nearly £1/2 bn when it was written off as a failure; we found that there had been 10 different responsible officers in charge of the project over a five year period. “I know some projects take longer than the Second World War, but continuity of responsibility is critical to securing better value. “It is also clear to me that the way the centre of Government works is not fit for purpose. We have three departments Treasury, Cabinet Office and Number 10 all competing for power, rather than working together. “And all of them seem to be completely unable to use their power to drive better value. Treasury carves up the money and then does little to ensure it is spent wisely. “They only worry whether the departments keep within their totals. This is not a proper modern finance function at the heart of Government that you would see in any other complex organisation. “None of this is rocket science. So why doesn’t change happen? Why is there such resistance? Radically transforming the culture must be at the heart of securing better value. “If the machinery of Government is so resistant, we need to take that challenge outside party politics. Only by working together across parties and over time will we be able to secure the culture, capability and organisation that we all need to deliver on our different political priorities. “When I first took this job I read the IPPR study which said that whilst officials dreaded their appearance before the Public Accounts Committee, they were confident that it would never ‘change the price of fish’. “I am determined to change the price of fish. That is why we have instituted new ways. We now have regular recall sessions, calling back people to tell us why they haven’t accepted our recommendations, or why they haven’t implemented them. We bring back people after they have moved jobs to hold them to account for what they did in post. “We try to use our analysis of past expenditure to improve spending in the future; understanding problems with past rail investment can help improve the delivery of future projects. We take regular evidence on the big change programmes, like Universal Credit or the Probation service. “And I take seriously the material I get from whistleblowers. My time on the PAC has strengthened my respect for whistleblowers. Without them, we would have been less effective on tax avoidance and on the performance of private companies receiving taxpayer’s money to deliver public services. “I am also probably one of very few MPs who has a good word to say about journalists. From eye Eye to the Times and from the Guardian to Reuters, their fantastic investigative work (when they do it properly) has helped us uncover abuse, malpractice and waste in a way we just couldn’t have done without them. “Unlike our American counterparts, who have 120 staff working to their committee, 80 working for the majority party and 40 for the minority party, we have a small committee staff who focus purely on process. “If select committees are to increase their effectiveness they need to be better resourced. It’s partly about people, although I would hate to mirror our American colleagues because their system is very much more partisan. “But it is also absurd that when we wanted to hold an international conference on tax avoidance we were told we had no money. It is just plain wrong that when we wanted to test whether a parliamentary committee should have access to company tax files to hold HMRC properly to account, we were unable to fund legal advice to support our case that HMRC should be accountable to us. “Both the NAO and HMRC paid for expensive legal advice to oppose us. We had no money to secure our own advice. “Reflecting on what I have said may leave you thinking everything is wrong. I know that there are many brilliant public sector workers and many stunning public services. One of the striking things about the PAC is the way it leaves crude tribal party politics at the door. That’s one of the reasons it’s quietly disliked by some senior officials: they cannot condemn the committee’s partisanship. It produces 60 unanimous reports a year. But do they make any difference? One irony is that senior officials cite the PAC as a key Parliamentary device holding them to account. They lasso and rope in the PAC for their own purpose. The work of the PAC in holding the civil service to account is cited by lawyers for the Department for Work and Pensions in repeatedly refusing to release four old Universal Credit documents. In reality the PAC does not make much difference to the way Whitehall departments are run. But waste would probably be much greater if it didn’t exist. What’s not in doubt is that Hodge is a great chairman of the PAC. If anyone can change the price of fish she will. HP’s tacit threat to government not to bid for contracts? HP has written to the Treasury questioning whether it is worthwhile competing for contracts if the Government is no longer interested in doing business with multinationals, says The Independent. Cabinet Office minister Francis Maude is encouraging departments to spend more with SMEs and be less reliant on a small number of major IT suppliers. He wants departments to avoid signing long-term contracts which lock-in ministers to one major supplier. “In a striking case of Goliath accusing David of bullying, the American giants Microsoft and Hewlett Packard have complained that they are being unfairly picked on by the Cabinet Office minister Francis Maude. “…the Government’s largest IT supplier Hewlett Packard has written to the Treasury to express its concern at plans by Mr Maude to award more Government contracts to smaller suppliers. “At the same time Microsoft is fighting a rearguard action against the Cabinet Office to protect the million pounds it gets each year from Whitehall by selling popular Office programmes such as Word and Excel. A report by the Institute for Government Government Contracting: Public data, private providers says that HP is the largest supplier to government with earnings in excess of 1.7bn in both 2012 and 2013. 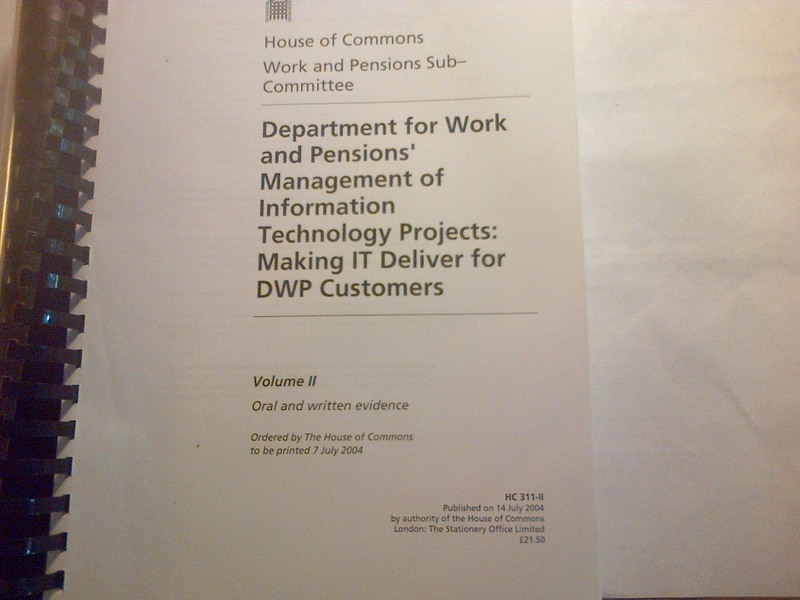 In 2013, 86% (£1.49bn) of HP’s revenue from central government came from a DWP contract to supply infrastructure and systems for DWP and its job centres. “This contract is likely to be the largest single non-defence contract in central government,” says the Institute. Capgemini, BT and Capita were the next largest suppliers to central government. Capgemini’s work is mainly from HMRC through the “Aspire” contract which is worth about £850m a year. Departments are more open than they used to be but the Institute found big gaps in the information provided. – Supply chain transparency – information including the proportion of work subcontracted to others, terms of subcontracting (particularly levels of risk transfer), and details on the types of organisation (for example, voluntary and community sector organisations) in the supply chain. What concerns Maude and his team is not the existence of major suppliers in central government contracts but the reliance by central departments on long-term contracts that lock-in ministers and lead to costly minor changes. Nobody wants the major suppliers to stop bidding for contracts. What’s needed is for departments to have the in-house expertise to manage suppliers adroitly, and not to be adroitly managed by their suppliers which seems to be the position at present. Thank you to openness campaigner Dave Orr for the information he sent me which helped with this article. It’s rare for any council to publish the lessons learned from its outsourcing/joint venture contract, but Somerset County Council has set an example. The council has produced its report to “inform future commissioning”. The council held a workshop to help identify the right lessons. Written by Kevin Nacey, the council’s Director of Finance and Performance, and published by the Audit Committee, the document is diplomatically worded because the South West One joint venture contract with IBM continues; it was renegotiated in 2013 when the council took back some services and about 100 staff that had been seconded to South West One. IBM is the majority shareholder in the joint venture company, and is its main funder. The minority shareholders comprise the county council, Taunton Deane Borough Council and Avon and Somerset Police. The joint venture company still provides ICT, finance and human resources/payroll. Dave Orr, a former council IT employee and campaigner for openness, who spotted Nacey’s report, says it misses some important lessons, which are in Orr’s From Hubris to High Court (almost) – the story of Southwest One. “The partnership between the provider and the three clients has at times been adversarial and at times worked well. What has become clear over time is that any such partnership depends upon having similar incentives and an understanding of each partner’s requirements. “The Client function monitoring a major contract needs to be adequately resourced. At the outset the size of the client unit was deemed commensurate with the tasks ahead, such as monitoring a range of performance measures and reporting on such to various management and Member forums. “Liaison between partners, approving service development plans and approval of payments under the contract were other significant roles performed by the client unit. However, as performance issues became evident and legal and other contractual disputes escalated, the team had to cope with increasing workloads and increasing pressure from service managers and Council Members to address these issues. “This is a difficult balancing act. You do not want to assemble a large client function that in part duplicates the management of the services being provided nor overstaff to the extent that there is insufficient work if contract performance is such that no issues are created. “Performance indicators need to be meaningful rather than simply what can be measured. Agreement between the provider and the SCC client of all the appropriate performance measures was a long and difficult exercise at the beginning of the contract. Early on in the first year of the contract, there were a large number of meetings held to agree how to record performance and what steps would be necessary should performance slip below targets. “Contract periods need to be different for different services as the pace of change is different. The range of services provided under the initial few years of the contract were quite extensive. On another related point the provider also had to manage different services for different clients. “This level of complexity was perhaps too ambitious for all parties. Although there are many successful parts to the contract, it is inevitable that most will remember those that did not work so well. “The contract period of 10 years is a long time for 9 different services to change at the same pace. Of course, service development plans were agreed for each service to attempt to keep pace with service needs as they changed. The secondment model introduced as part of the contract arrangements had been used elsewhere in the country before this contract used it. “The disadvantage was that Southwest One was hampered by the terms and conditions staff kept as they tried to find savings for their business model and to provide savings to the Council in recent years given the changing financial conditions we now operate under. “This was a very ambitious venture. The service provided in some cases got off to an unfortunate start with the issues generated by SAP problems and relationships were strained and attracted much inside and outside attention. “All parties have been working very hard to keep good relationships and to fix service issues as they arise. The sheer size and complexity of this contract has proven difficult to manage and future commissioning decisions will bear this in mind. Well done to Somerset County Council’s Audit Committee and the Council’s auditors Grant Thornton for asking for the report. The South West One contract has been a costly embarrassment for IBM and the council. It has also had mixed results for Taunton Deane and the local police though officials in these two organisations seem locked into a “good news” culture and cannot admit it. Perhaps the best thing to emerge from the IBM-led joint venture is this “lessons learnt” report. Without it, what would be the point of the millions lost and the damage to council services? From contracts that don’t work out as expected, councils and central government departments rarely produce a “lessons” report , because nobody requires them to. Why should they bother, especially when it may be hard to get an internal consensus on what the lessons are, and especially when a report may mean admitting that mistakes were made when the contract was drawn up and signed. Public sector organisations will sometimes do anything to avoid admitting they’ve made mistakes. Somerset County Council and its Audit Committee have shown they are different. Maybe the rest of the public sector will start to follow their example. Dave Orr’s well-informed analysis of the lessons from Southwest One.